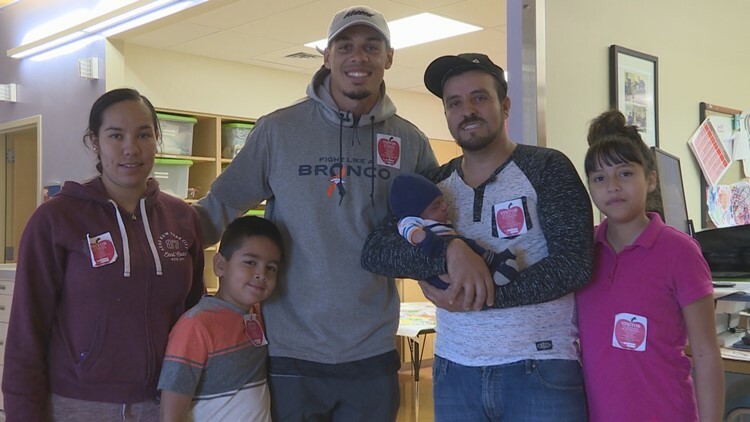 Justin Simmons and several other members of the Denver Broncos spent the day at Children's Hospital Colorado. After a long week of work that included a disappointing 34-16 loss to the New York Jets, Justin Simmons and a handful of his Denver Broncos teammates decided to use their free time gaining perspective. Simmons has made this visit two times before, but this is his first time since becoming a father to a baby girl four months ago. The group spent the day visiting several rooms and contributing to a hand-made Thanksgiving-themed art piece. They also passed out small gift bags with Broncos gear. While each child and family has their own unique background and story, they all shared the same smile and expression of gratitude.